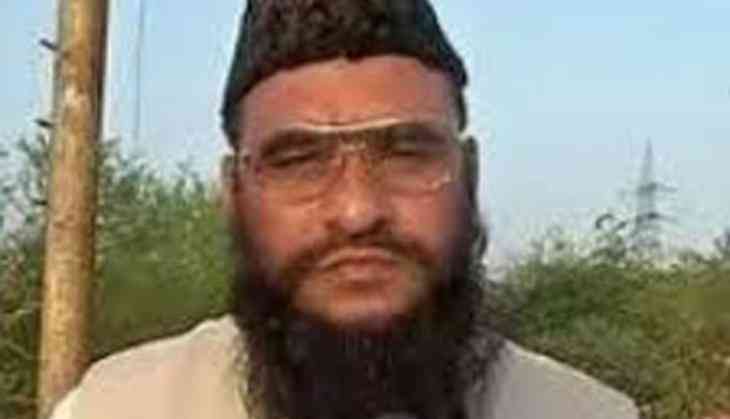 Muslim cleric Maulana Sajid Rashidi on Wednesday said that the community has faith in the apex court with regard to the Babri Masjid demolition case. 'The Constitution of India is capable enough. The Babri Masjid case is not hidden from anybody. The entire world knows that there was a masjid which was demolished and that too deliberately. The Muslim community has faith in the Supreme Court and we know that it will bring the culprits of the masjid to justice,' Rashidi told ANI. 'We believe that the culprits, in this case, will get punished through court. The court should punish so that no one dares to demolish any religious building,' he added. 'Those who are politicizing the issue should not be doing this,' he said. Hindu saint Mahant Dharamdas said he supports the Supreme Court's decision and will continue to do that will the upcoming verdicts. 'I am not against the move in this case. I will support what the Supreme Court will decide,' he said. The apex court ruled that senior BJP leaders, including L.K. Advani, Uma Bharti and Murli Manohar Joshi will face criminal conspiracy charges in the Babri Masjid demolition case. The apex court has directed the sessions judge in Lucknow to conduct the trial in the Babri demolition case on a daily basis for the next two years, and said the judge will not be transferred. It also ruled out a fresh trial in the case. The top court has also ordered the CBI to ensure that witnesses are produced in court everyday so that there is no delay in the Babri demolition case trial. The apex court, however, has clarified that Kalyan Singh, being the Governor of Rajasthan, will not be tried due to constitutional immunity unless he ceases to be in that post. In effect, his trial will begin after his term as governor ends. Singh was the chief minister of Uttar Pradesh when the demolition took place. Others who will face criminal conspiracy charges are Vinay Katiyar, Sadhvi Ritambara, Satish Pradhan and Champat Rai Bansal. The late Giriraj Kishore is also among the names in the original charge sheet. There were two sets of cases relating to the demolition of the disputed structure on December 6, 1992. The first involved unnamed 'karsevaks' or volunteers, the trial of which is taking place in a Lucknow court, while the second set of cases relate to the VVIPs in a Rae Bareli court. With today's order, both these cases are merged and will be heard in Lucknow. The order comes after the CBI had petitioned the apex court saying 14 people, including BJP leaders, who had been acquitted of the charges of criminal conspiracy, should be tried in the Lucknow Court.